This Samsung Gear VR review offers all the information you need to decide whether Samsung's mobile virtual reality headset is for you. Specifically, we're going to cover the Gear VR's greatest strengths, biggest weaknesses, and key features. So sit back, relax, and enjoy our Samsung Gear VR review. At its start, virtual reality was a really prohibitive technology. Although high-quality headsets existed, they were often priced higher than even high-end gaming consoles, and in fact, certain popular headsets are still more expensive than a PS4 or Xbox. Meanwhile, Samsung released its third-generation Gear VR earlier this year. 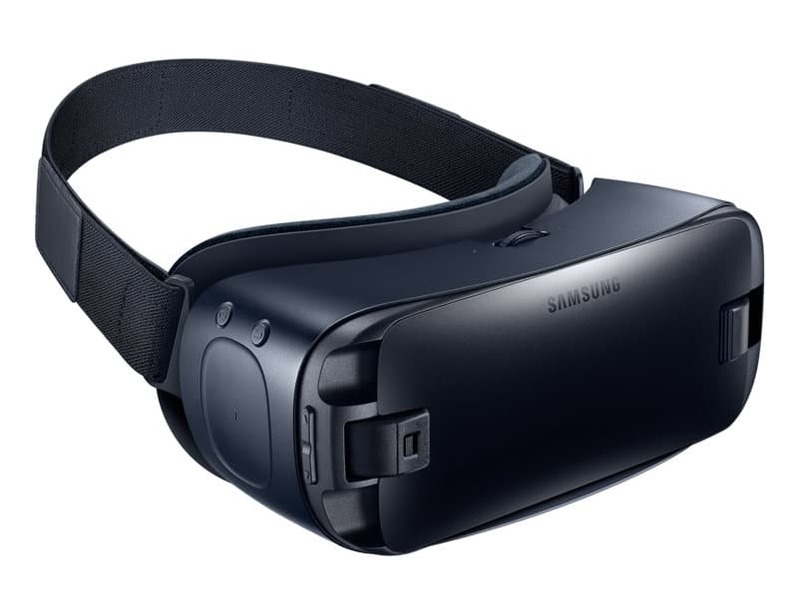 The Samsung Gear VR is a mobile-powered virtual reality headset that's meant to combine the portability of a smartphone with the enhanced experience that VR gaming provides. Comfortable to wear for long gaming sessions. Not compatible with non-Samsung devices. The Samsung Gear VR's design is one of its best features. Compared to, say, the HTC Vive or Oculus Rift, the Gear VR is much more compact, lightweight, and portable. In effect, this makes the Gear VR much more usable, particularly if you're planning on having some long gaming sessions. At a glance, the Samsung Gear VR looks sleek and modern; however, once you actually hold it in your hand, you quickly realize that it's actually made of plastic. Of course, the majority of virtual reality headsets — whether high-end and low-end — are going to be mostly plastic as this helps to minimize a unit's weight, but if you've used one of the higher-end units that are available from Oculus and HTC, Samsung's mobile VR headset feels cheap by comparison. Beyond its mostly-plastic construction, you'll be glad to know that the third-generation Samsung Gear VR is pretty comfortable to wear. The interior of the headset is outfitted with a substantial amount of foam padding, so you won't have the unit's plastic pushed up against your face while you're gaming. It was a nice touch to make the padding removable, too, since it will likely get pretty grimy as its used over a period of time. One of the best design features of Samsung's latest Gear VR headset is its removable and switchable port connectors. While previous generations features either a micro USB or USB C port, the third-generation headset is compatible with the past several generations of Galaxy devices through the use of the removable port modules. Additionally, there's a touch pad and some control buttons located to one side, allowing for in-game controls. Like virtually every other review of a mobile VR headset, we can't help but lament the limitations inherent to mobile VR in our Samsung Gear VR review. But in Samsung's defense, these limitations apply to virtual all mobile VR headsets as even the highest-resolution smartphones simply don't have a high enough display resolution to keep the visuals from appearing slightly grainy and pixelated. Having said that, in some respects the Samsung Gear VR actually outperforms the competition, particularly Google's Daydream View headset. With the Daydream View, light leakage on the sides of the headset greatly degrade the experience, but the Samsung Gear VR is much better at blocking light from your environment. As such, the Gear VR is better able to preserve the virtual reality experience. Mobile VR is very different from the likes of the HTC Vive and Oculus Rift because a mobile headset's display and audio come from leveraging the display and audio of your smartphone. In other words, the Samsung Gear VR — which is actually made in partnership with Oculus — doesn't actually have its own display or any audio capabilities until you put your smartphone into it, at which point it simply utilizes the display and audio of your smartphone. If you're using a wired headset with the Samsung Gear VR — as is typically recommended — the audio quality will be great as Galaxy devices tend to have above-average audio performance. Unless you're using a high-end headset, you may notice a slight drop in quality if you're using Bluetooth headphones. But the worst scenario would be to use your Galaxy device's built-in speaker for audio as Samsung's Galaxy devices almost always have sub-par speakers, largely attributable to the waterproofing featured on the latest-generation Galaxy smartphones. 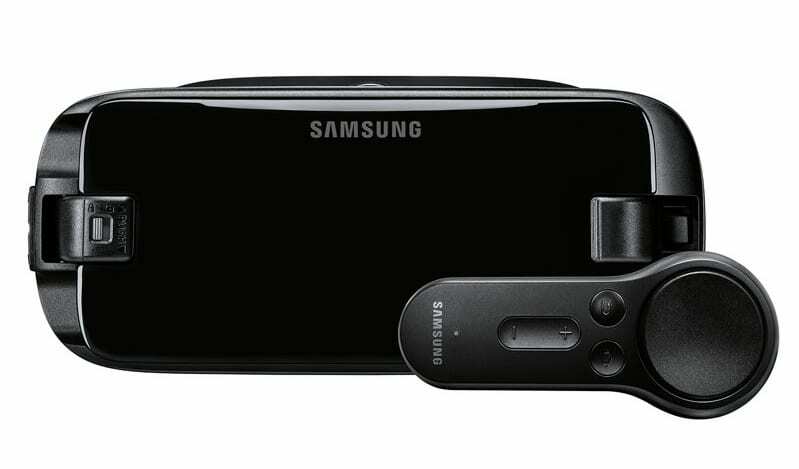 Samsung has actually included a handheld controller with the third-generation Gear VR, which is a first for the Samsung Gear VR line. Likely not by coincidence, the Gear VR's controller appears to take certain cues from the controller that Google included with the Daydream View. In fact, if you've used the Daydream View at all you should be right at home with the Gear VR controller, particularly its circular touch-sensitive area at the top, elongated and remote-like form factor, and two-button controls with volume rocker. If you were expecting our Samsung Gear VR review to portray the Gear VR as being as time-consuming to setup as Oculus's own Rift, release a sigh of relief because setting up Samsung's mobile VR kit is pretty simple. Actually, the most time-consuming part of the process is the kit's unboxing; once you have everything out of the box, you simply drop your phone into the headset and remove it again, which will open a prompt on your smartphone to ask you to install Oculus's software. After downloading and installing the software, using the Gear VR is as simply as securing your smartphone in the headset, placing it on your head, and away you go. At this point, you simply use the included controller to point and click through the UI, navigating through a rather impressive library of VR content. Overall, the third generation of Samsung's Gear VR is one of the better mobile VR options available. Many would argue that the latest Gear VR exceeds the quality of Google's Daydream View. 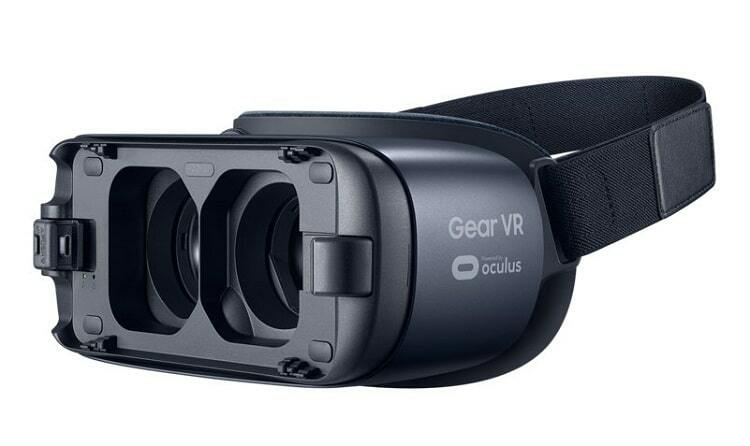 If there's a drawback to the Gear VR, it's the limited device compatibility as you essentially must have a recent-generation Galaxy device to use the Samsung Gear VR. However, as you've seen throughout our Samsung Gear VR review, the Gear VR has a number of compelling features that make it a worthwhile device to add to your gaming repertoire. Virtual Goggles: What’s Good And Bad About VR Goggles?